appartamento, 4 - 6 persone, 3 vano/i, 2 camera/e da letto, 1 bagno/i, ca. 88 m², 1 piano/piani, Alloggio al primo piano, esposizione a sud-ovest. Camera da letto 2: 2 x letto a castello. Soggiorno con posti letto: divano, uscita su balcone. Alles vorhanden, alles sauber und gepflegt. Eine sehr schöne Ferienwohnung, Küche mit sehr guter Ausstattung. Wohnzimmer geräumig mit Terrasse und auch Wäscheständer. Was uns da fehlte ; W-Lan, Gefrierfach und Mikrowelle. Sonnst sehr gut, gute Lage, sehr nette freundliche Vermieterin. Wir haben uns sehr wohl gefühlt. Die große Wohnung hatte alles,, was man so braucht. Die Küche ist ein bisschen klein, aber die Ruhe und der Fluss vor dem Haus und der Steg am kleinen Arm des Ossiacher Sees sind wirklich sehr idyllisch und das Wasser ist klar. Allerdings war weder im Garten noch auf dem Wasser ein Trampolin, welches auf den Fotos gezeigt wird. 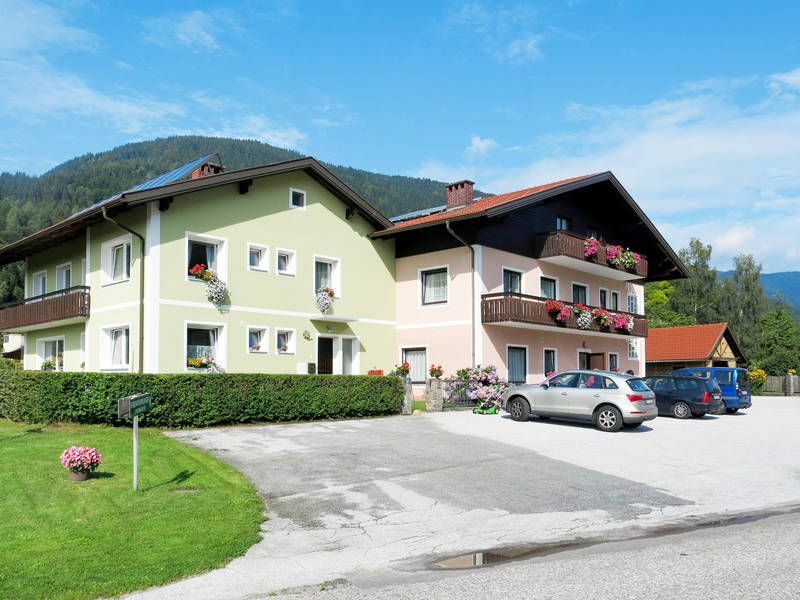 Well equipped and spacious 3-room flat with kitchen, bath with bathtub, separate toilet. Very nice and garden with table tennis. Very quiet location, perfect for relaxing and for good sleep of little children and our baby. We had our balcony, so that we had breakfast outside every day. and wi-fi for planning our trips. The lake was 30 minutes far by bike with our children (7, 5 and 1 year old). I missed only microwave oven in the flat. Private beach for all people from all of Unterkofler flats (better said "semiprivate"), but not suitable for very little children and non-swimmers (deep of the water was approx. 100 cm when entering to the water) and the beach was not at open lake, but in the narrow part of it. Despite this, it was beautiful. With Carinthia Card we made many trips - Affenberg, Gerlitzen, Ossiacher schifffahrt, Adler show on Landskron, Fahrzeugmuseum Villach (museum of old cars, motorbikes, bikes and radios). We could ride our bikes with our children as there are many bikeroutes suitable for children too. I think this was high value acommodation for the price. Highly recommended.